Ranger-General, Banshee Queen, Warchief, Dark Lady. Sylvanas Windrunner belongs in your game room! Magnificent polyresin statue stands 18-inches tall! Inspired by the iconic World of Warcraft character. Sylvanas Windrunner has held many titles in her life and undeath: Ranger-General, Banshee Queen, and Warchief. Those who stand against her will surely not stand long. 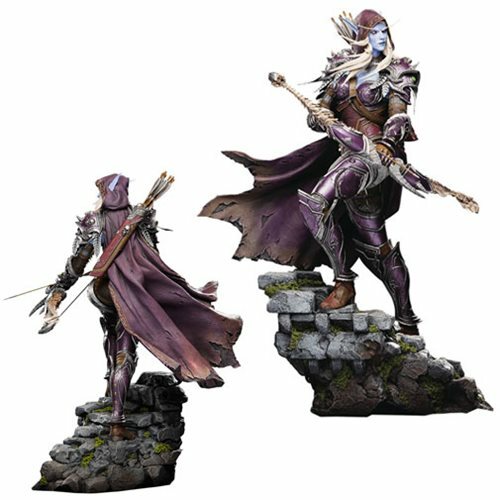 Celebrate and enjoy this iconic World of Warcraft character with this magnificent World of Warcraft Sylvanas 18-Inch Statue from Blizzard Entertainment. Crafted from polyresin, the Dark Lady belongs in every Warcraft enthusiast's game room!